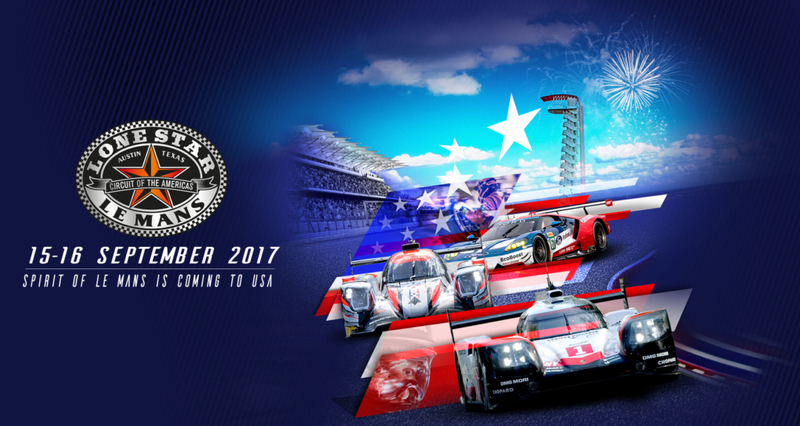 We look forward to experiencing a Texas twist on the Spirit of Le Mans with you at Circuit of The Americas for Lone Star Le Mans! For your convenience, we've compiled information below to help you get to COTA and have the best time possible. If you chose the printed ticket option at checkout, and have not printed your tickets and/or parking pass, please log into your account and print your Lone Star Le Mans passes in advance of arrival at Circuit of The Americas. Select the seats you wish to print and click "continue"
On the confirmation page, click the "Print" button. Your tickets will open as a PDF file and may be printed on any standard printer. If you need assistance printing your tickets, here is a helpful video tutorial, or please call 512.301.6600. If you chose the mobile ticket delivery option at checkout, here's how to access your mobile tickets. Download the COTA App to your phone to have the schedule, venue map and much more in the palm of your hand throughout race weekend. Make sure to update to the latest version on race day to ensure any schedule or map changes are visible. Below are three routes from major highways and roads that lead to COTA. You can also use Waze App to easily find the best route to a particular parking lot. Open the Waze App and search for the lot you're headed to (ex: "Lot A - COTA"). Want to kick back and just enjoy race days? Then catch a safe ride with Uber and enter promo code RIDE2COTA for $20 off your first ride. You'll have a dedicated Uber drop-off and pick-up location directly across the street from the Grand Plaza main entrance. It doesn't get much easier than that! Please park in the parking lot designated by the parking pass you purchased. Two-day parking is now sold out. If you have not pre-purchased parking, cash parking is available each day in Lot F for a cost of $20. ADA parking is available in Lot A for those with a government issued ADA hangtag or license plate. If you require ADA assistance from the parking lot to a seat, please alert a staff member. They will be able to radio an operator to dispatch a golf cart to your location. You can also call our ADA Cart Line directly for assistance at 512.655.6217. Download the COTA App (iPhone | Android) to have the schedule in the palm of your hand, or view it on our website. Note: Thursday is a non-ticketed event day. You're welcome to join us at COTA for a day of practice from each of the series competing. Lone Star Le Mans has open seating, meaning you have free reign to view the race from our premium grandstands (Main Grandstand, Turn 1 and Turn 15), and all the open grassy hillsides. Roam the Circuit and find your favorite viewing locations! Please note that not all open access areas will be accompanied by concessions or video screens. An open paddock means you can wander around outside the tents and garages the teams use to prep their cars. For many races, the paddock is a closed area with very limited access, but Lone Star Le Mans opens it to the public. Make your race day memorabilia even more special with an autograph from your favorite drivers. Autograph sessions are open to all attendees. You have the opportunity on Friday to walk along pit lane and on Saturday to walk down the starting grid, taking a look at the cars as they prepare for the race ahead. Access to the pit lane walk and the grid walk is open to all ticket-holders. Friday: Pit Lane Walk, 12:00 p.m. - 1:00 p.m.
Gates on the east and west sides of the garages in the paddock will open to allow entry. Saturday: Grid Walk, 11:10 a.m. - 11:45 a.m.
Gates on the east and west sides of the Main Grandstand will be open to allow entry to the track. Check out the booths and tents around the Main Grandstand for interactive and informative fun from our friends at WEC, Porsche, Motul, Camper Clinic, Circuit de la Sarthe and COTA's own Audi Experience. You can also find merch and food around the Main Grandstand. Download the COTA App (iPhone | Android) to view food vendor locations on a map. Please be aware our vendors will ID for all alcoholic beverage purchases. If you plan to have a drink or two, please bring an acceptable form of ID with you. IDs accepted include: U.S. Driver License, U.S. Territory's Driver License, U.S. State-Issued ID Card, Passport, Passport Card, or U.S. Military ID. Alcohol sales will cease 30 minutes prior to the end of the event. Download the COTA App (iPhone | Android) for easy access to answers to frequently asked questions surrounding race events at COTA, with everything from prohibited and permitted items, to where restrooms are located. Download the COTA App (iPhone | Android) to easily locate prohibited and permitted items in teh FAQ section, or view our generic overall FAQ online for rules and regulations at COTA. If you need assistance at our venue, please alert the nearest staff member. If you do not see any staff nearby, shoot us a text at 69050 with "COTA" followed by your request or question. If it's a location-based inquiry, please include your location. We look forward to seeing you soon! While you're here, we invite you to tag your social posts with #COTA.